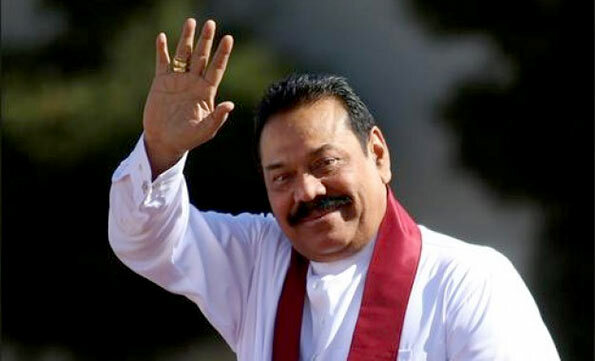 I call upon the government to stop persecuting our armed forces personnel and to release those who have been wrongfully arrested and detained, former President Mahinda Rajapaksa said. The observation was made while releasing a statement in view of the 7th anniversary of the war victory. On 19 May 2016, we mark the 7th anniversary of the victory of our armed forces over the Liberation Tigers of Tamil Elam which had officially been designated by the United States Federal Bureau of Investigation as the world’s deadliest and most effective terrorist organisation outranking even Al Qaeda. This was a victory that captured the imagination of the whole world. I consider it a privilege to have been able to give political leadership to the armed forces to enable them to achieve this feat which has become an inspiration to all countries beset by terrorism. It is a matter of regret that we are now marking the 7th anniversary of the proudest and most noteworthy achievement of our armed forces in a debilitated state reminiscent of the dark, defeatist years before 2006. Today, the armed forces have been made to feel that it was wrong to have won the war. Dangerous LTTE terrorists held in detention are being released while armed forces personnel are being arrested and held in detention continuously without bail. My government did not try to exact revenge from LTTE cadres captured at the end of the war. We rehabilitated and released more than 11,000 LTTE combatants. It was only around 200 to 300 of the most dangerous terrorist operatives who were kept in detention with a view to taking legal action against them for various crimes. It is these dangerous terrorists who are being released while our war heroes are being arrested and jailed. All this is taking place in a context where an agreement has been arrived at between the present government and the international powers that tried their best to stop the war and to rescue Velupillai Prabhakaran and the LTTE leadership. According to this agreement which has been reached by co-sponsoring a joint resolution in the UN Human Rights Council, a war crimes tribunal will be established to try our war heroes with the participation of foreign judges, prosecutors and investigators. Armed forces personnel who are suspected of having committed war crimes but against whom there isn’t enough evidence to present in a war crimes court would be removed through administrative action. Furthermore, the government has agreed to allow Western powers to directly finance and maintain this war crimes mechanism. While our armed forces are being persecuted in this manner, the local and international separatist forces that brought the present government into power are busy with their project of dividing the country. Demands are being made for the complete withdrawal of our armed forces from the North and East. Northern politicians are forcing their way into army camps to humiliate and demoralise the armed forces just as the LTTE did during the infamous ceasefire after 2002. Resolutions are being passed in the Northern Provincial Council demanding a federal state in the North and East. Our motherland is thus facing one of her darkest moments. At this decisive moment, I call upon the entire nation to remember on the 19th of May the brave armed forces personnel who sacrificed their lives so that we may have peace, and to express solidarity with those who have suffered debilitating injuries in the service of the motherland. The present government claims to be promoting reconciliation by commemorating the war victory with a cultural show instead of a military parade. However it is this same military victory that delivered the Tamil and Muslim people of the North and East from the clutches of terrorism. Tamil children are no longer being abducted to serve as cannon fodder for the LTTE and Muslim people are no longer living under the tyranny of the LTTE. Even though separatist elements seek to portray the war as a war against the Tamil people, it was a war to end terrorism and was never directed at any ethnic group. After the war ended my government took steps to restore democracy in the North and East and to accelerate the development of those areas. On the 7th anniversary of the war victory that amazed the whole world, I call upon the government to stop persecuting our armed forces personnel and to release those who have been wrongfully arrested and detained. Even the Magistrates before whom cases against these armed forces personnel are being heard have expressed surprise at the flimsy pretexts under which members of the armed services are being arrested and kept in remand custody. Never in living memory have men who have done so much for our nation been treated so unfairly. Yes MR Rajapakse , Unfortunately Sri Lankans have very short memory and care two hoots about there country.All the care is about getting something for nothing or cheap. They have forgotten how they were even scared to get on a bus or train full of people. Not many people in Sri Lanka even talk about the sacrifices the personnel of the armed forces made during those years of war. And now these jokers prosecuting members of the armed forces who got rid of the LTTE Barbarians. As for the UN probing in to war crimes my question is where were they and what were they doing when Prabhakaran was using child soldiers and suicide bombers. And if they were to have an impartial investigation then who is going to be accountable for war crimes by the LTTE. You are right this all a conspiracy to hand over half of the country to the Tamils and our stupid Sinhalese people just can not see it. There are many Sri Lankans (unlike S Fernando) who care about their country. If S Fernando aspires to look for freebies and handouts from the Government, he is free to do so. But we, belonging to GenY, do not want freebies, Mr Fernando; we, GenY, want truth and honesty and we want to pay taxes and other things to enable society to not only survive but grow..
Mr Rajapaksa is claiming to have undertaken all the good things which concluded the war. Truth is now filtering out slowly, how the Rajapaksas’s stage managed events in the south to ensure the perpetuation of the war which helped in lining their pockets. The so-called suicide bombing on the Defence Secretary was stage managed. So was all the killings of leading Sinhala Politicians except for GD and LA. The rest of political killings including that of RP were stage managed to enable the Rajapaksa family gain and continue with power. I dare say that all bomb blasts in bus stands and railway stations were organised by forces in the South who wanted the war to continue so that they could purchase Mirage jets for the Air Force at 3 times the market price. I strongly suggest that we have a truly independent Presidential Commission (with overseas observers) on the conduct of the war during the tenure of the Rajapaksa Government so that we, as a nation, can comprehend what went on and what we underwent as a nation. I agree with you Mr S Fernando. As far as I am concern Mahinda brought back the integrity and the respect of the Sinhalese people which was rock bottom at that time. You are right about our stupid Sinhalese people who will sell there daughter to a Tamil man for money. Little by little our two fools hiding behind Buddhism, and slowly going back to the past where people were scared to death to go out. What the point of complaining. If our Sinhalese people want it to be like that, there is nothing we can do about it. So you proved it fernando. Well done ?.This is what we hav been saying from the beginning. Your poignant words clearly reflect the thoughts and feelings of Gen Y. The so-called 10 year war where tend of thousands of lives were lost appears to have conducted to enable perpetuation of family rule. Unfortunately, this family’s aspirations were dashed to the ground on 8th Jan 2015. Continuing to claim heroism on the basis of the “WAR VICTORY” is not getting anyone, anywhere. As you suggest, Bala, lets have impartial Commission into the war with International participation. This will bring to light the unsavoury strategies that were adopted resulting in meaningless loss of lives in all communities. Society will thereafter be able to comprehend the treachery that was practised to ensure perpetual family rule. This R Family created the war by organising bombs in public places and organising bombs for Sinhala Politicians who were a threat to the R Family. Finally, they went to Mullaitivu and cleared Prabaharam claiming war has ended. How many billions did the R family make during the war? How many Mirage Jets? How many vehicles? How much ammunition? After they ended the ‘war’, the R Family continued stealing by demanding commissions for building harbours, airports, roads and Colombo City. The R family looted 40 kg of gold from hidden treasures in buddhist temples. The Sinhala People are civilised, respectable and honourable; it is only the Politicians who sell the Sinhala Peoples’ respect and dignity for their personal gain. I understand where you coming from. Mahinda Rajapakse and his relatives robbed this poor wounded country beyond belief. But far as I am concern he defeated the most ruthless terrorist organization in the world. What make me angry was there were some Sinhalese men and women helping these terrorist, while many of our lads getting killed fighting Tamil Tigers. We have Mahinda or these two stupid idiots to run the country. Which one you like? Let me tell you one thing. I am a Sinhalese. But I am sad to say that worst race in the world is Sinhalese. Filled with jealousy and laziness some times I wonder weather to call myself a Sinhalese. You must have been in a coma for along time to make a comment like” The R family Created the war. “. This is a war that started During JR s Time and was ended by MR so many Presidents who failed to do so. These fools fighting each others ( S n T ). Mr. S. Fernando you are forgetting one vital factor. If you say JR created LTTE terror war, then it was big bro India who supported him. Because it was India under Indira trained (& armed) and un lashed LTTE.